Traditionally we invite guest speakers to our module STRA (Introduction to Strategic Management). 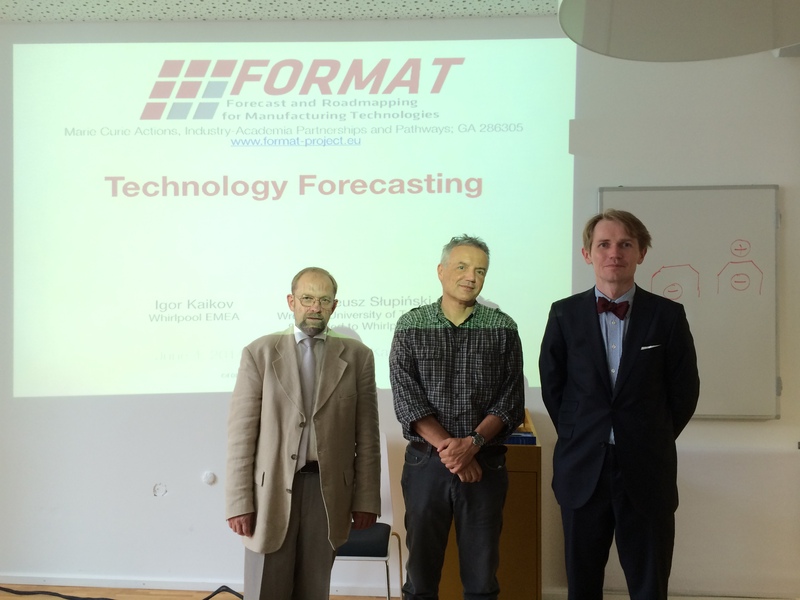 This time Igor Kaikov (Whilpool EMEA) and Mateusz Slupinski of Wroclaw University of Technology in Poland gave us insights in the FORMAT project (http://www.format-project.eu), a EU funded project on forecasting, coordinated by the Politecnico di Milano in Italy. Forecasting and Foresight are key issues in Strategic Management and an important element of the module. Following the case of Whirlpool our international students learned about the pratical and academic challenges and suitable methods especially in production technology forecasting as well as practical implementation based on the FORMAT milestone process.